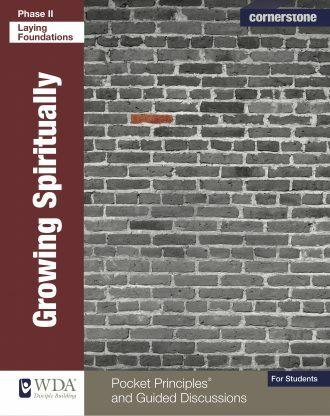 Using Pocket Principles® and Guided Discussions, Growing Spiritually focuses on helping the disciple understand how Christian growth occurs, God’s role (including the Holy Spirit) and man’s role in spiritual growth, dimensions of spiritual growth and God’s plan for believers. 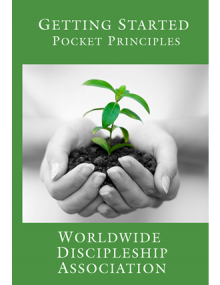 This workbook includes Pocket Principles® and Guided Discussions. The topics include: God’s Plan For The Believer; Knowing God’s Will; The Process Of Spiritual Growth; Dimensions Of Spiritual Growth; Roles In Spiritual Growth; The Filling Of The Holy Spirit; Growing Through The Word And Prayer; Transformation; Fellowship And Service; Understanding Our Enemies. 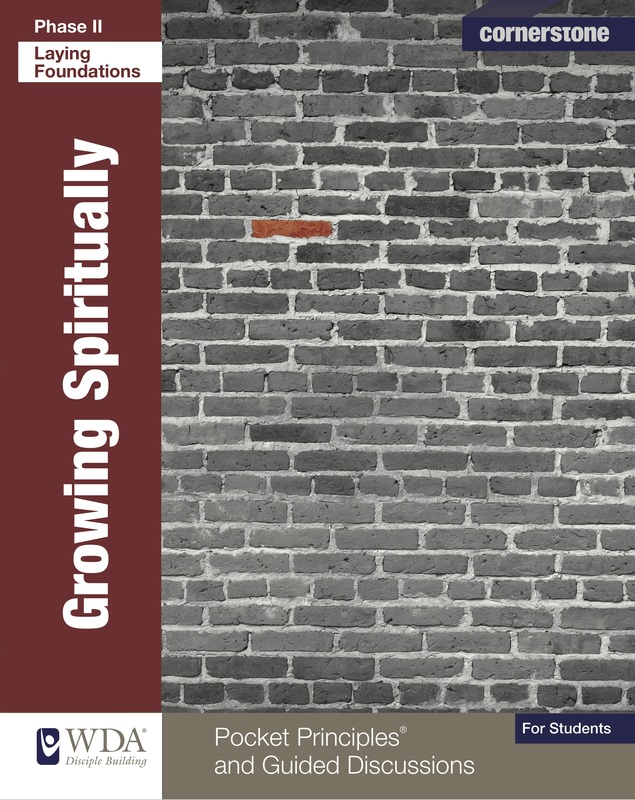 Cornerstone, designed for both individuals and small groups, helps new believers become grounded in the faith and lays the necessary foundations for ongoing growth to maturity. It also reinforces growth and fosters renewal in more mature Christians. 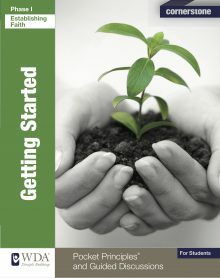 Cornerstone features workbooks: Getting Started (Phase I), Knowing God, Understanding People, and Growing Spiritually (Phase II) and Bible Readings for Devotional Use.